I don't really know where to start. What have we done to deserve this bounty? Never mind, let's just sit back and enjoy it. They contain just about the complete commercially recorded legacy of these Hungarian-born siblings, grand nieces of Joachim and pupils of Hubay. 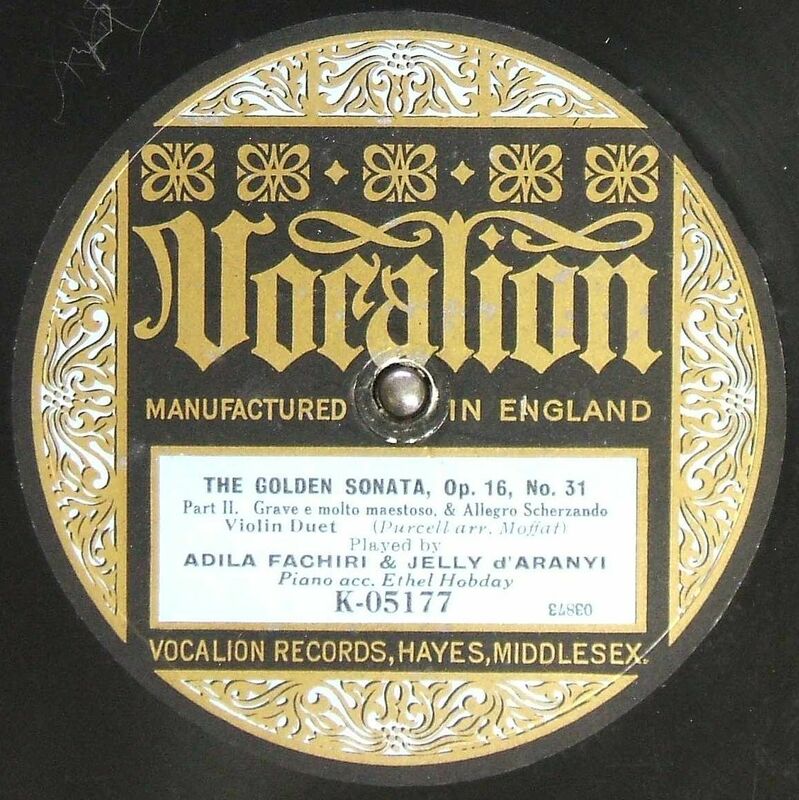 (There's an interesting post about Jelly on Peter Sheppard Skaerved’s blog; otherwise, it's Wikipedia). 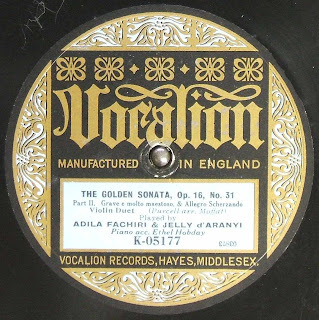 The true source of this cornucopia is renowned collector Raymond Glaspole - originals in fine condition, excellent dubs (lightly whipped by me through the default declick and decrackle settings for 78s on ClickRepair), discographical data and all. Amazing. Our deepest gratitude to him. Please note that sides have not been joined up in the Mozart Concerto or the Vitali Chaconne. 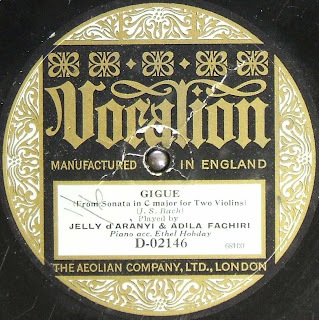 In addition, public institutions have made freely available several recordings by Jelly and her sister Adila Fachiri. Please revisit the Cave for more over the next few days and weeks. Amazing what turns up on your doorstep, er, muddy sward. It seems to me that this is a particularly felicitous way for writers on music to greatly expand the impact of their work. Congratulations and thanks to you, Raymond Glaspole and Tully Potter!